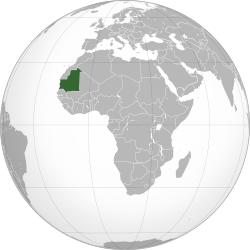 Mauritania is a country in western Africa. The capital and largest city is Nouakchott. It is bordered by the Atlantic Ocean to the west, Morocco to the north, Algeria to the northeast, Mali to the east and the southeast, Senegal to the southwest.